This past weekend we had the opportunity to have an awesome athlete visit with our running team. Getting the chance for first time marathoners to hear from someone who has completed multiple full Ironman triathlons is a really great opportunity. And although I have been running for years, I love to gather new ideas from any experienced athlete I get a chance to chat with. There is always so much for us to continue to learn. We were discussing mental techniques that we like to use to get through a long endurance event such as a marathon or half marathon. However, these “tricks” can be used at any distance from 5k’s to ultra marathons. In almost any long distance race you will find certain miles to be more difficult than others. It is important to remember that those hard times will usually pass. However, if you are in full 26.2 mile mode, it can become rather scary. This is when you might think, “I am only 5 miles in and my stomach is cramping. How will I manage another 21?” Instead, you can look at this as you already have five under your belt and let’s focus on getting through that next five. If you start worrying about mile 15 or 20 too early, you might want to scratch your eyeballs out! Give yourself something to look forward to. It was suggested that if you do not have a big PR that you are working towards you might want to allow yourself to walk through the aid stations. This gives you something in the near horizon to reach for. Many large races, like the Chicago Marathon, have aid stations every 1.5 miles or so. That means you only have to run that next mile and a half before you can look forward to a brisk walk as you get a few sips of water or fuel in. This is particularly great if you are a first time marathoner and are focused on just being able to finish. Don’t sweat the time goals and just make it your goal to get to that medal at the end. Allow yourself these walk breaks, which also give your body a rest as you use different muscles in a different way for a block or two. If you find yourself in a rough patch, remember that the next mile can be completely different. And when you stick it out and start to feel better, give yourself a pat on the back and celebrate pushing through that tough time. Use that as a way to remember that if things get difficult again later on in the race, you know that you can push through and feel better. 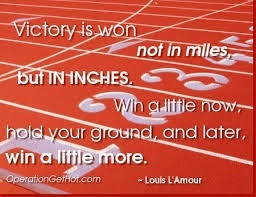 The idea of enjoying these mini victories is a great one that I highly recommend taking with you to race day. There will be miles that are tough. 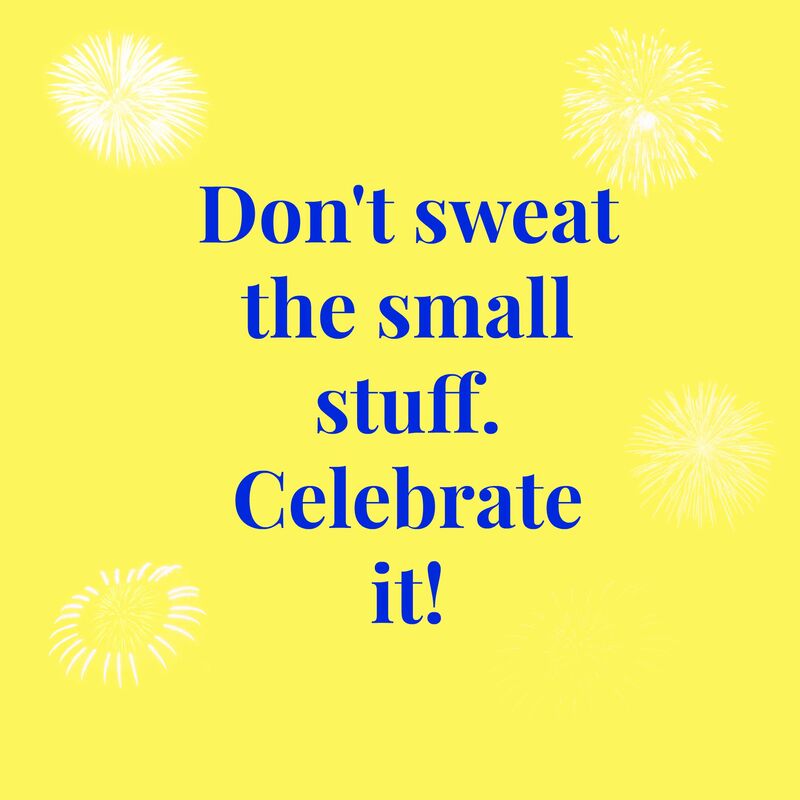 But by giving yourself little things to celebrate along the way, you might find you gain the mental boosts you need to push through. What are your mini victories that you like to celebrate? Sharing this with my crew! Great tips, Sarah! Breaking the race down definitely makes it seem more manageable. A good mantra also helps me get through the tough spots of a race. Oh yes. Sometimes I have multiple mantras to get me through. I just signed up for marathon next spring so I’m sure I will have many as I try to get back! Which marathon? I’m thinking about signing up for the IL marathon.